There is Valentines Day candy in the stores! 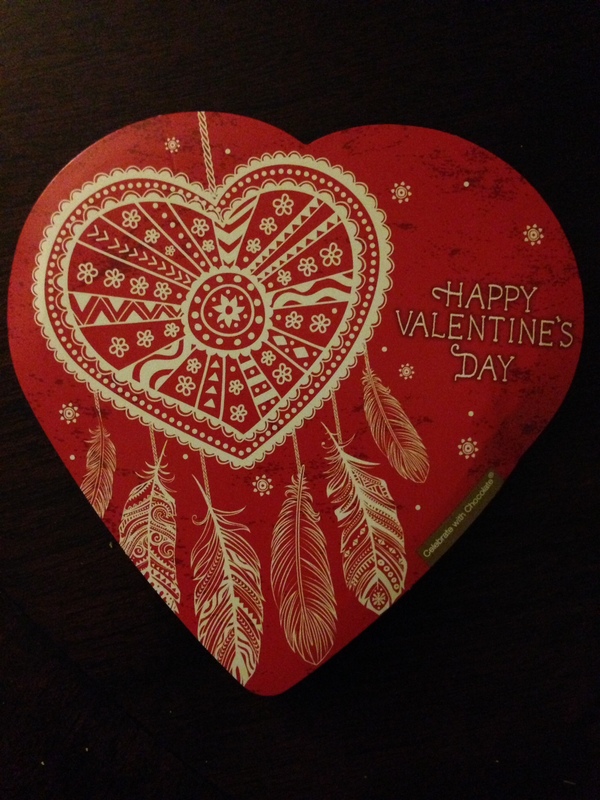 I fell in love with this, it was a heart, with a heart and had a dream catcher on it! It was like it was practically calling my name in the store and begging to be eaten. I obliged, by the way. Mr. T ended up getting a different car. I drove a little compact car for many years intending to saving money so I could buy me a car and I would give T the compact car when he turned 16, which I did. And, he warmed my heart, because at least once a week he was telling me about an issue that had come up, but how fortunate he was that he had a car to drive! 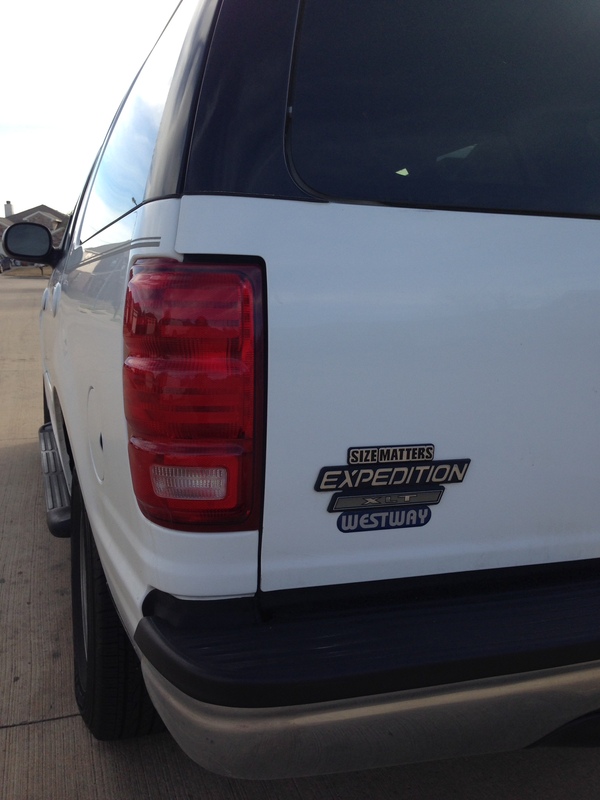 We got this Expedition for a steal from my boss. Mr. T went from a 4 door compact to a massive 3 row Expedition. When we were at Walmart, I saw the decal that said “Size Matters” and cracked up. That decal now adorns his new car! I finished my Project Wall! 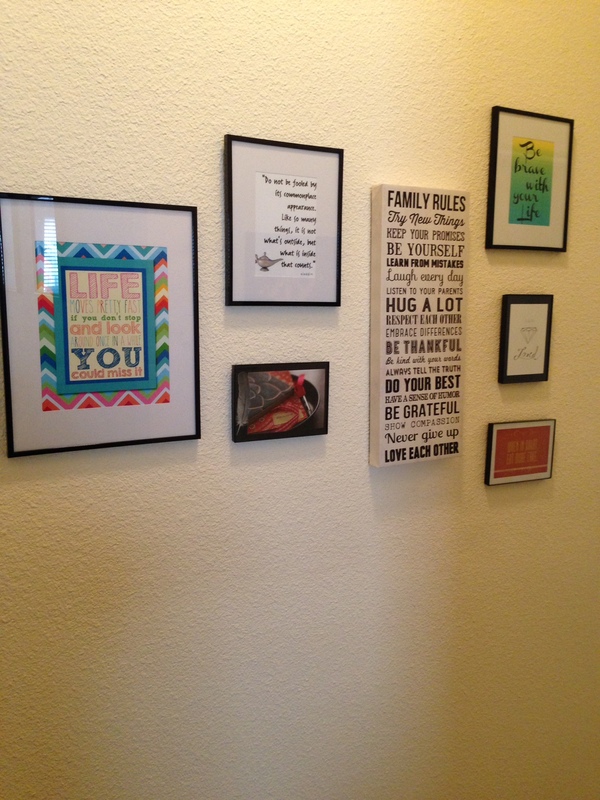 As soon as I got it up and all of the art work I had picked out in the frames, then naturally the Universe sent me new art – but – I was smart, and got frames that make it super easy to change the pictures! 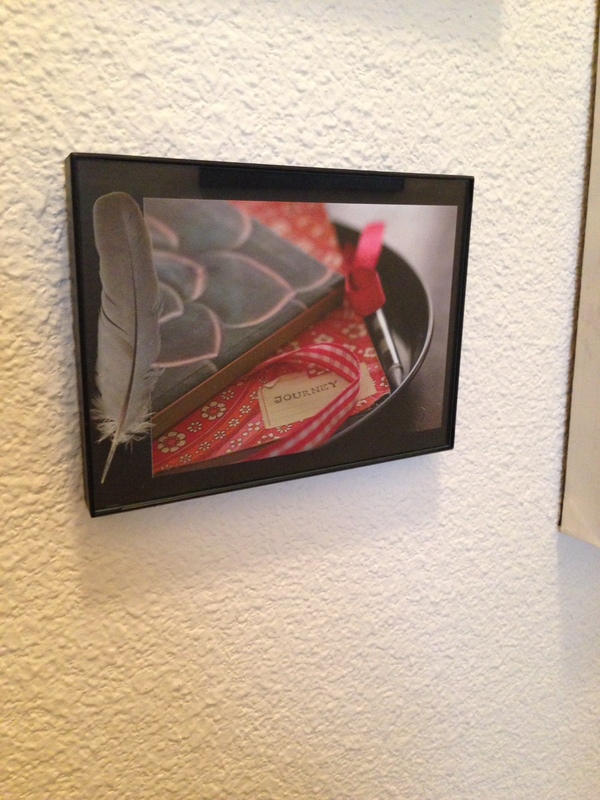 It’s a beautiful postcard, made from an original photograph taken by Life in the Wylde West, it also has a feather in the frame, if you follow Tracie at all, you’ll know feathers are her thing, and the fact that she shared with me just fills my heart! (PS, you can purchase artwork from Tracie and many other local artists at Crated.com, I’ve ordered from this site before and had a great experience!) <— Not getting paid for that, I just really like it! It is tax time! 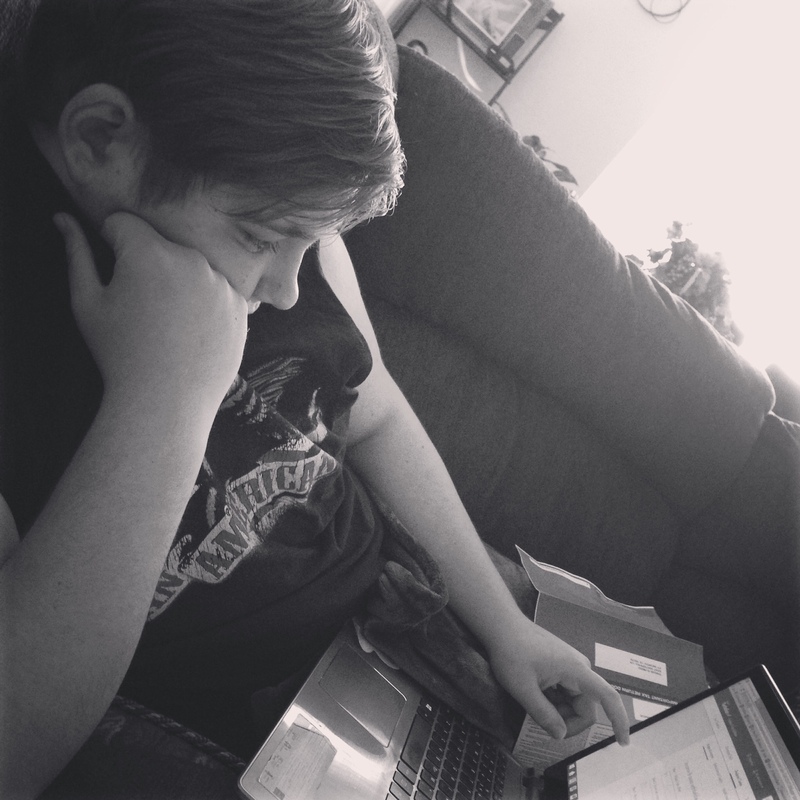 Mr. T grabbed my laptop, sat on the couch next to me and we did his taxes for the first time. There just aren’t words! I lost my pinky toenail. It just fell off. We all know how very graceful I am, well several months ago I was unloading a cooler and wouldn’t you know, turned around to pull more items out and walked right into it! Stubbed my pinky toe, hopped around and wished that I was one to let loose with explicit language and then went on with my life! Every time I got a pedicure we noticed that the nail was still bruised, but I really never gave it any thought. We’ve been getting letters from colleges in the mail. 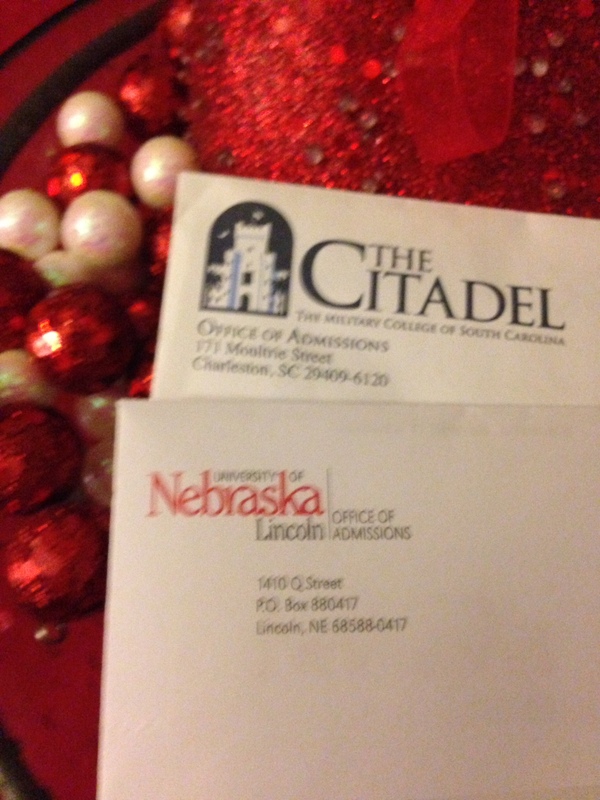 I’m not happy with getting letters from colleges in the mail. It freaks me out a bit to tell the truth! 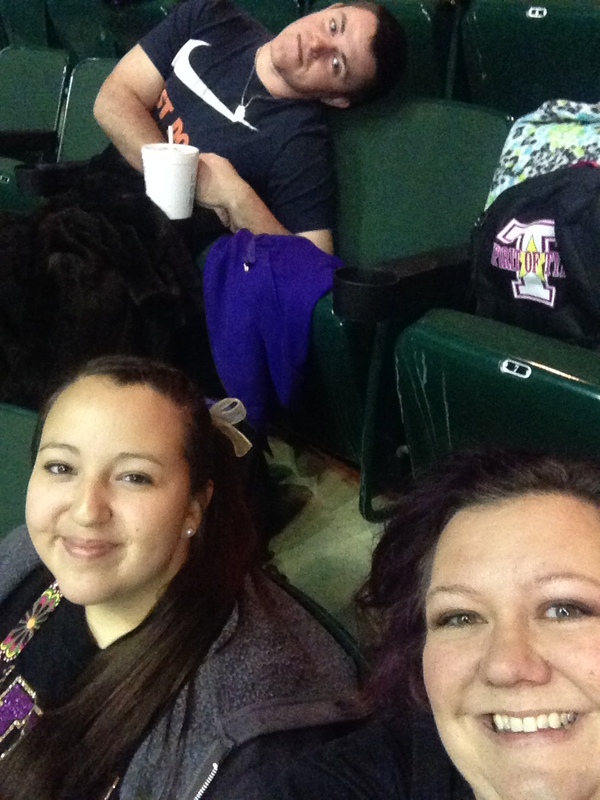 I’ve been spending time with teenagers that aren’t mine! 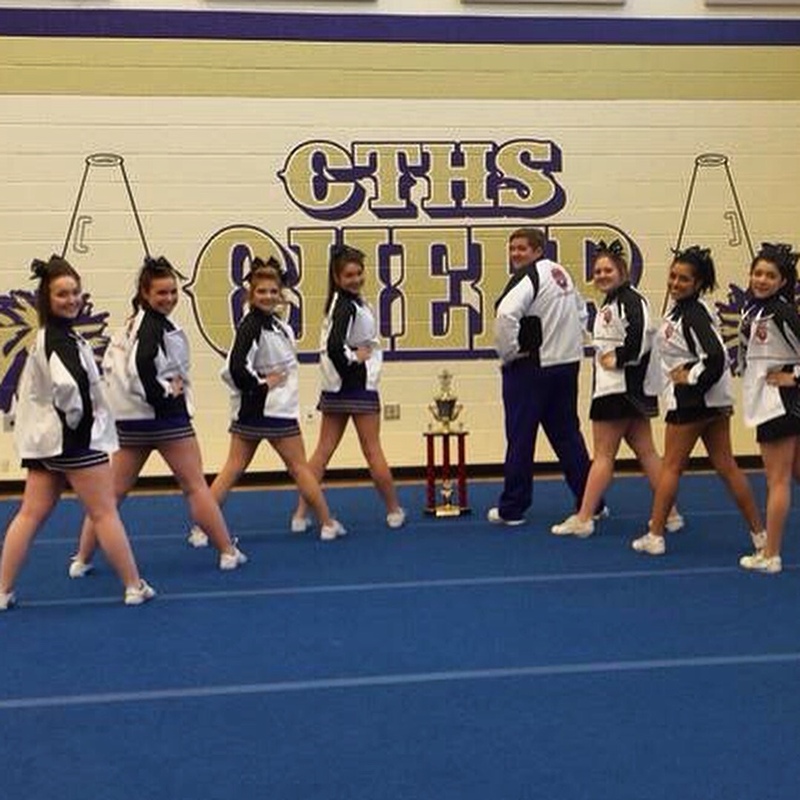 And time with 1st placers! So, I would blog, but sometimes you just don’t have anything to say! 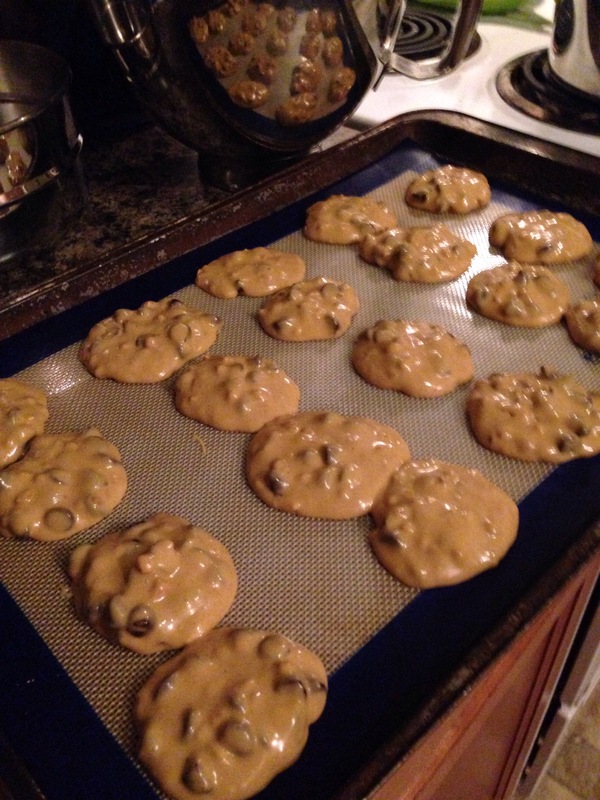 For a thousand reasons, I decided to try a new recipe of treats tonight. 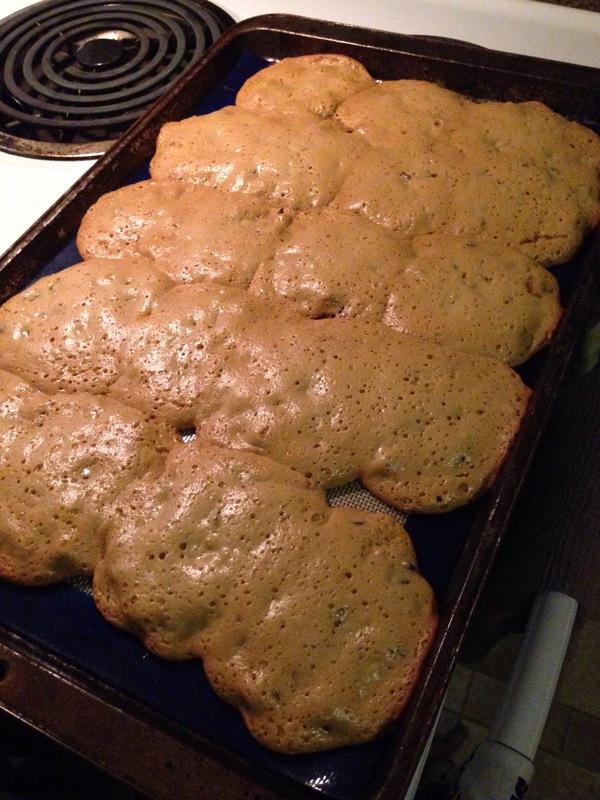 It was a flourless peanut butter cookie recipe. I gathered the ingredients. I decided not to judge a book by the cover and discarded the fact that the picture of the cookie looked funny, cause I’ve eaten plenty of things that looked funny but tasted great! I did decide to add chocolate chips, though, because, hello! Okay, looks a little different from how most cookies start. But peanut butter. Honey. Chocolate chips! About 10 minutes later they’ve fallen and I’ve literally had to scrape them off the pan! I had to move fast to get the picture before it fell apart in my hand! So, not every recipe is a glowing success! But, not going to lie, as ugly as they are and as hard to eat as they are, at 50 calories I scraped those suckers up and ate 3! Winter has finally hit Texas. And I say “hit”, because that is exactly what happens. Canada takes a deep breath and exhales gently and sends cold air headed down South. This gentle exhalation picks up steam as it travels over the States and by the time it reaches Texas, it is gale force winds! That is totally and scientifically accurate, by the way. Okay, no, it’s not. But it is totally how it feels!! 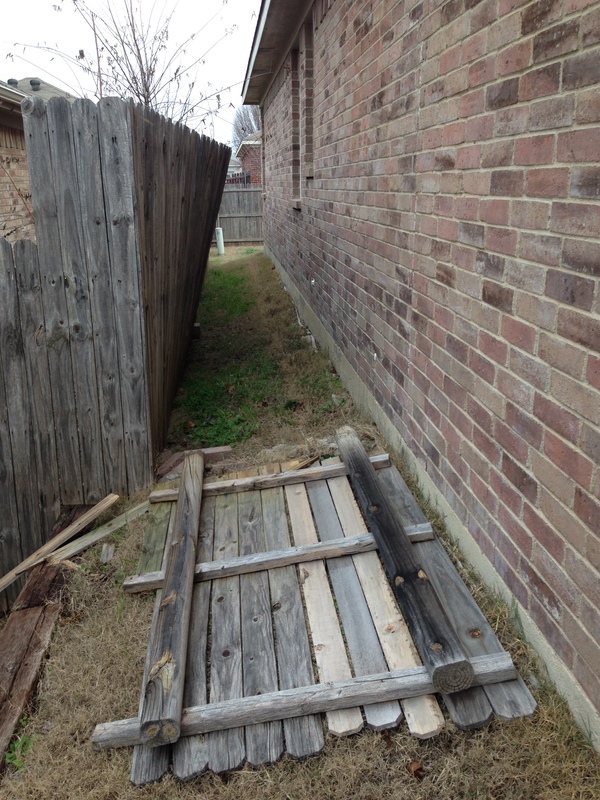 Anyway… I went and ran a few errands on Friday and came home to a fence section being down. I’ve decided to share my knowledge with you! 2. Get up bright and early Saturday morning and head to Home Depot to buy a shovel. If you wear tie-dye and have a purple purse, the employees will NOT ask you if you need help. Home Depot profiles people apparently, so you will wander for a bit before someone finally does ask if you need help. They will then send you to one side of the store. The shovel you want will not be there. You WILL run into this same employee on the way back and he WILL send you all the way to the other side of the store and out into the cold. The shovel you want won’t be there either. Eventually, you will discover that Home Depot does not consider shovels to be “tools” or “construction”, but “lawn” equipment and you will find it when you decide to stop and see if you need a new grill because obviously the fence isn’t happening. 3. 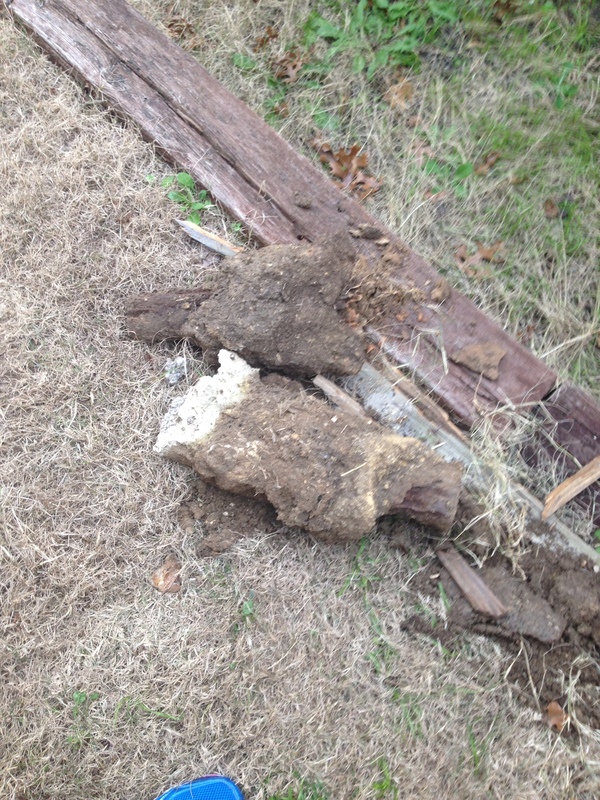 Buy the shovel and decide that for $30 that sucker better dig up the old fence posts without any help from you! Stop and take a moment and admire the posts and concrete stubs that you dug out of the ground, you have totally earned this! 4. Go back and dig deeper holes because obviously the person before you didn’t have a clue how to do this properly. 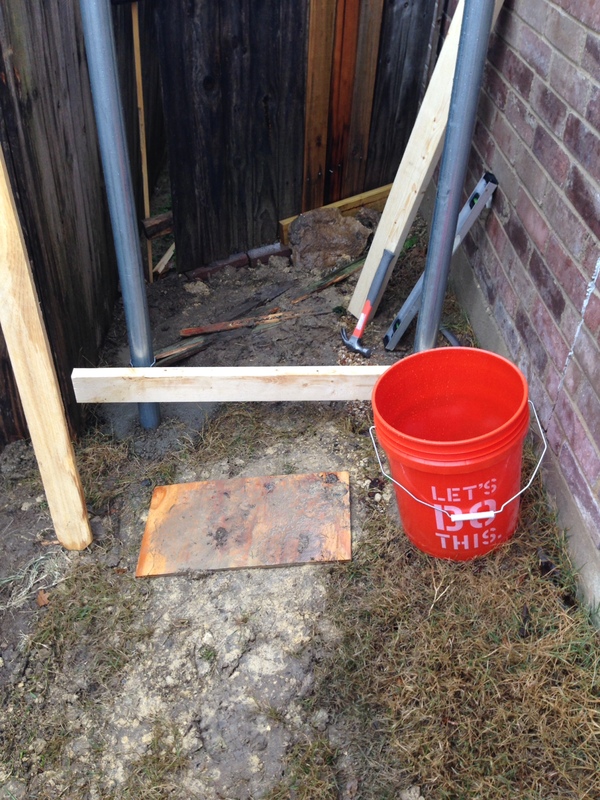 When you discover a beam of your retaining wall, and a piece of some type of pipe, don’t admit that maybe the person before you did have a clue – never admit that! Just get to work on the other hole and pray there isn’t an obstruction! 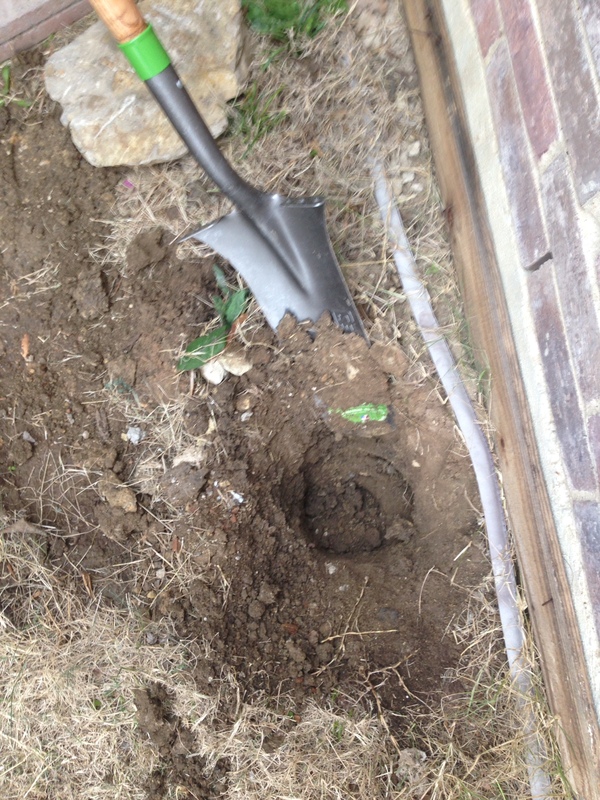 It’s perfectly normal to admire your newly dug hole and give the new shovel a pat on the back! 5. Now that you know you can replace the posts, and you won’t have to mount the fence to the house, head back to Home Depot to buy supplies. Wear a jacket over the tie dye shirt to see if maybe this time they will ask you if you need help. Discover that it’s the purple purse that must be the issue, and then load up your dolly with some metal poles, brackets, 10′ 2×4’s for bracing and some panels. Make sure you pull out your phone and take a look at the picture where you measured the space to make sure you get enough panels to cover the space. 4a. Before going to Home Depot, measure the space and then take a picture so you don’t forget!! 6. Your dad should call about this time to see if you need help. He’ll come over to help you mix up some Quikrete. He will bring a magical tool that attaches to a drill that will make your life so much easier and make you wonder how you ever thought that a trowel and some sticks would ever mix up Quikrete. Also, you will probably want to get your son out of bed, it is noon after all, and those bags of concrete are heavy! 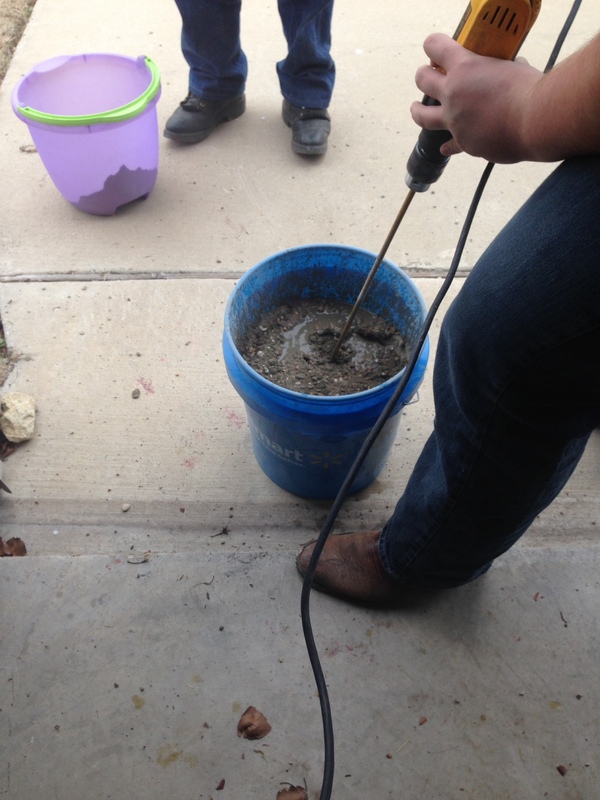 Plus, he’ll enjoy using the power tool to mix the concrete! 7. 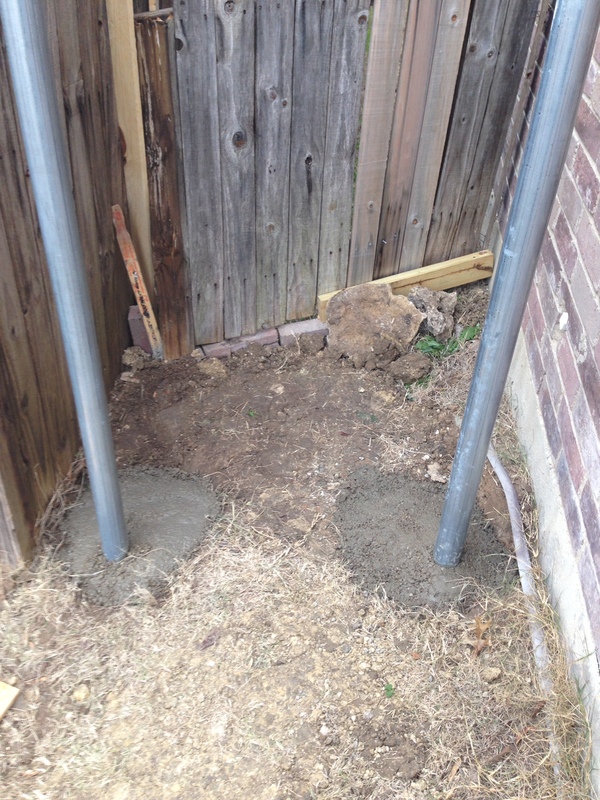 Make a trip back to Home Depot, because your dad said you needed deeper holes and now it takes (2) 60 lb bags of concrete just to stabilize one pole. Decide that this fence section will be standing long after your house is gone. 8. Pour the concrete, level the poles and then sit back and admire. And then stomp off because it is so cold that there is nothing “quik” about the Quikrete and you have to wait until the next day to finish the fence. 9. First thing the next morning, let every one know how sorry you were for complaining about how cold it was on Saturday when you were digging holes and pouring concrete, because now, it is cold, but it is also raining on you. 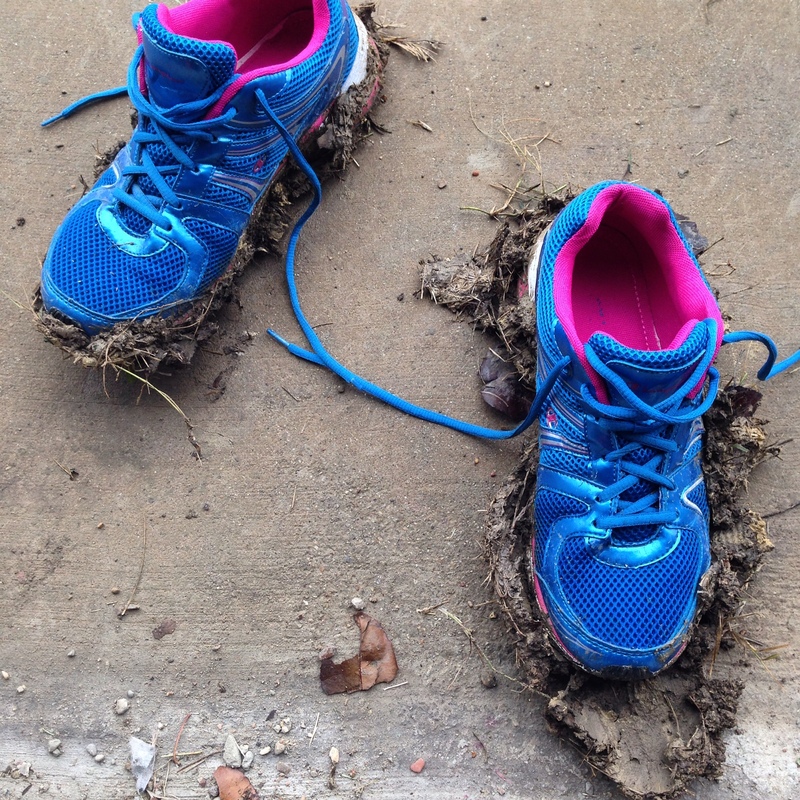 And it has rained for hours, so the side of the house is all muddy from the aforementioned holes in the ground. 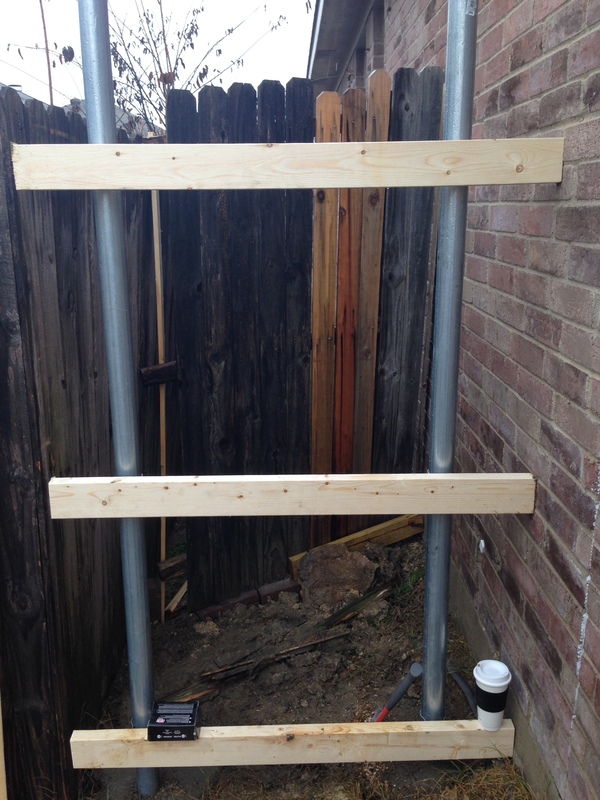 You should also stand around a bit to try and figure out how to attach the metal-to-wood adapter brackets, and get them level and hold the 2×4 in place and keep it level while you attach the screw. You should also spill your coffee at this point. It just makes the morning better! 10. Give yourself massive kudos that you didn’t drill into your hand as you do that two more times! 11. 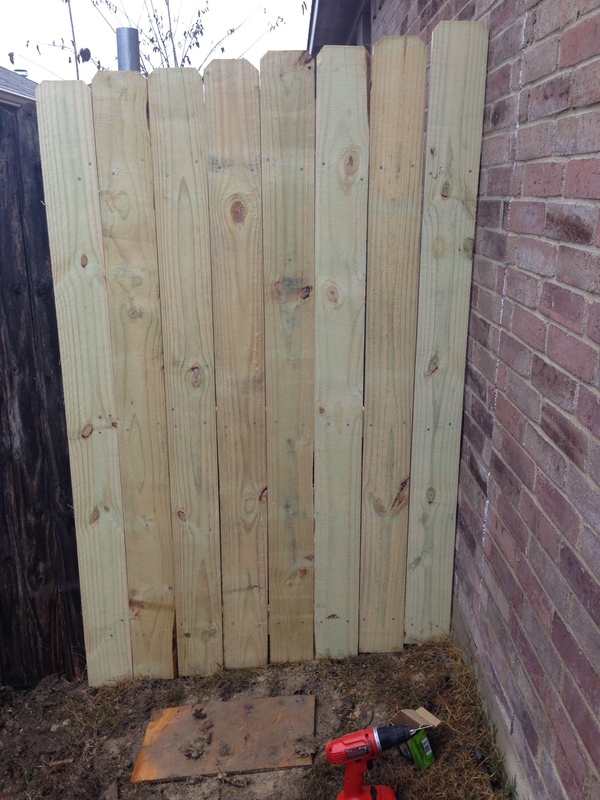 Start attaching the fence panels. Bend two nails right off the bat. Discover that your hands are so cold that hitting your thumb with the hammer doesn’t even hurt! You’ll think to yourself “Self, you’ll probably feel that later!” And you would be right, but at this moment, that’s for Future You to worry about. 12. At this point, you should decide to cheat. Go get the drill, and do the cute girly pre-drill thing, creating holes for your nails on the panels, and then one by one, nail by nail, panel by panel, create a master piece! You are done! 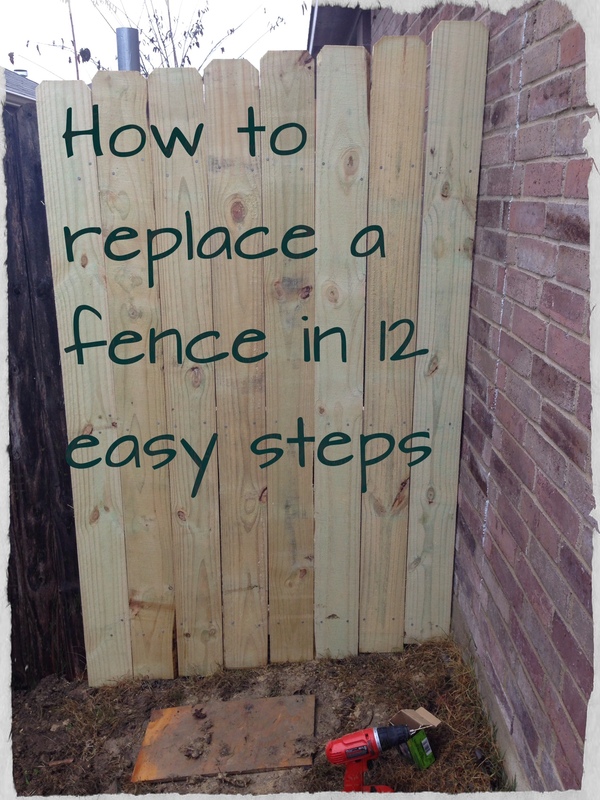 You have replaced your fence section in 12 easy steps! All you have left to do is clean your tools, and this part is purely optional, but you can take a picture of how muddy it was and share it with the world! You know, just so every one can tell how much your really did suffer! Again, purely optional! 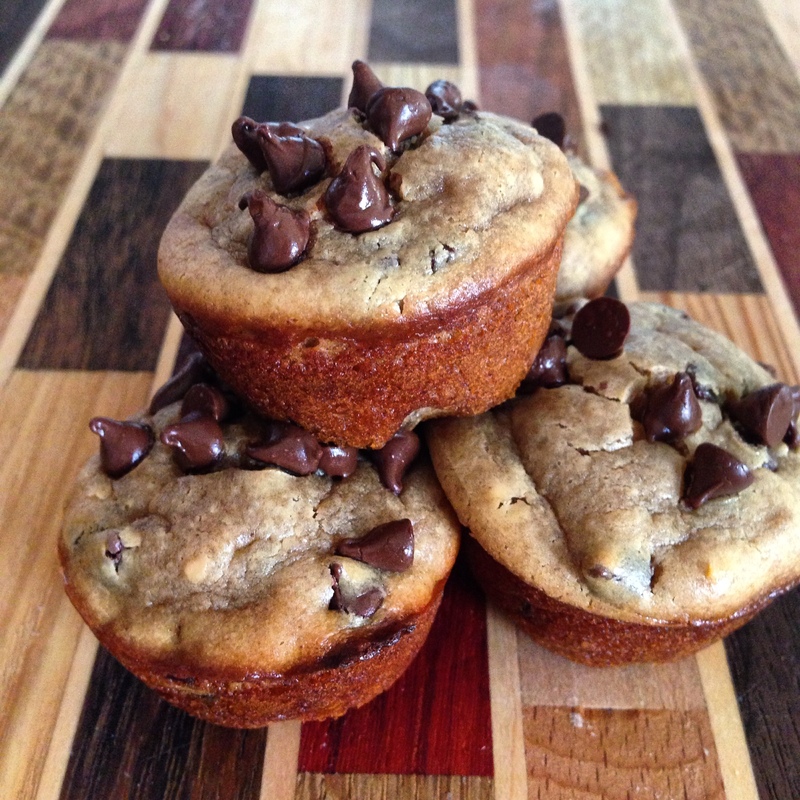 I recently posted about my Flourless Peanut Butter Chocolate Chip Blender Muffins and how they were inspired by my friend Erica making a batch of flourless cookies. 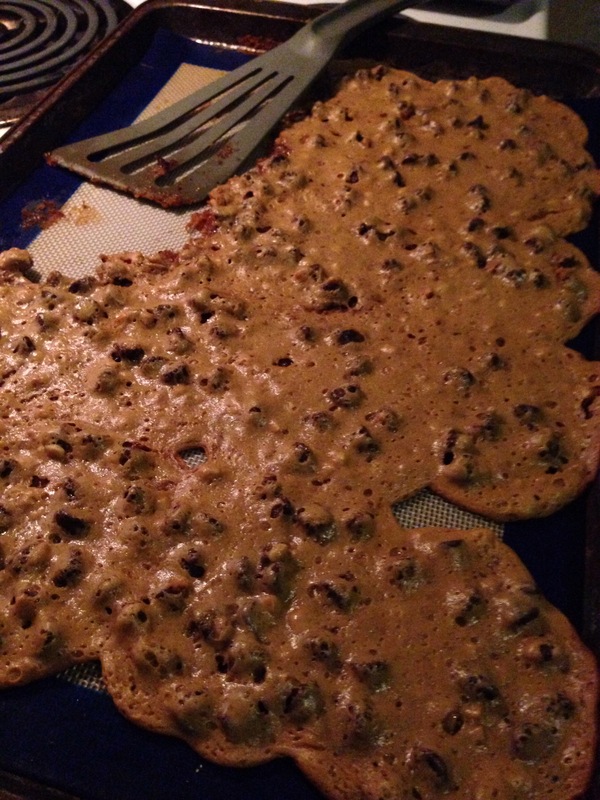 Well, Kendall asked how to make flourless cookies – and I had to admit, I had no idea! I stopped looking for a recipe for those when I found the muffin recipe! Chickpea Chocolate Chip Cookies were made! You can follow the link straight to Nancy’s site for the full recipe; and I swear, if any of you ever tell Mr. T these were made with chickpeas I will disown you; however, let’s dive right in! 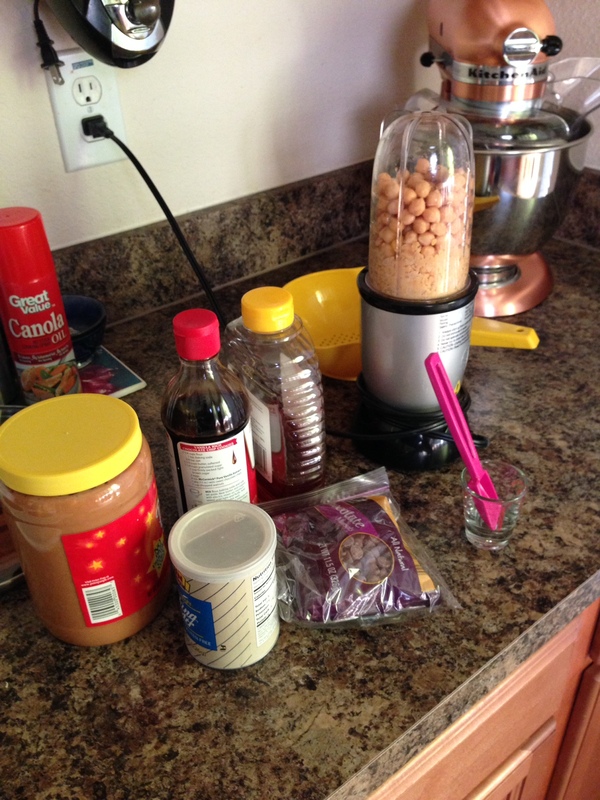 Start by gathering your ingredients, this recipe calls for raw peanuts. Like that’s happening at my house, I subbed in a jar of already mushed up raw peanuts, frequently known as “peanut butter”. Also good to note that while this recipe calls for a food processor, you had such success with your Magic Bullet, that hey – why not try it again? Then discover that no matter how much liquid you add, those chickpeas aren’t going to become the desired consistency. Oh that’s right, you used the blender attachment last time! Pull that sucker out! Transfer all of the ingredients. 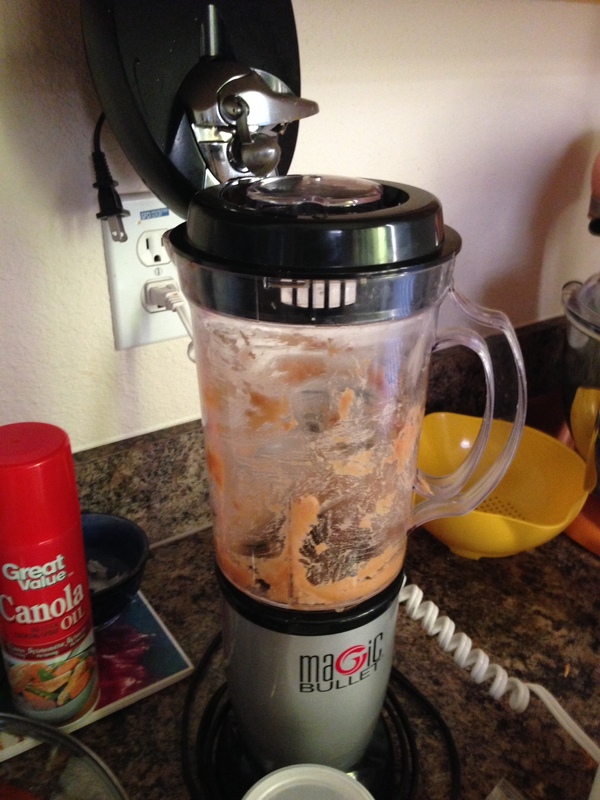 Take the time to discover that the blender isn’t going to work. Now it’s time to pull out the big guns! 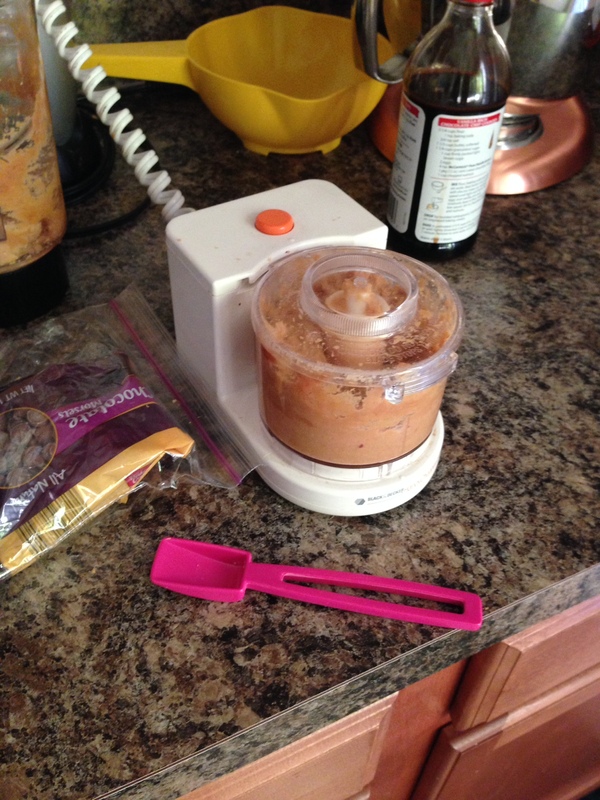 Transfer all to the mini food processor in your kitchen because at this point, you just want those darn chickpeas pulverized!! I’d like to point out, I have a brand new food processor sitting in my garage. I got it for Christmas, but since I hadn’t had a need for it, and hadn’t made space for it in my kitchen, it’s still safe and sound in my garage. Most normal people would have pulled that sucker out to start with. You should know by now, I’m not like most people! Once you’ve pulverized the chick peas in about three batches, then it’s time to mix in the rest of the ingredients. I just had to take a picture, I used “all natural” chocolate chips, because somehow in my mind, that made them better. The reality, those are generic chips I pulled from my freezer! But, now that you’ve effectively wasted more time than it would have taken to just go get the darn food processor out of the garage, it’s time to roll little balls of dough and flatten them out with a fork! 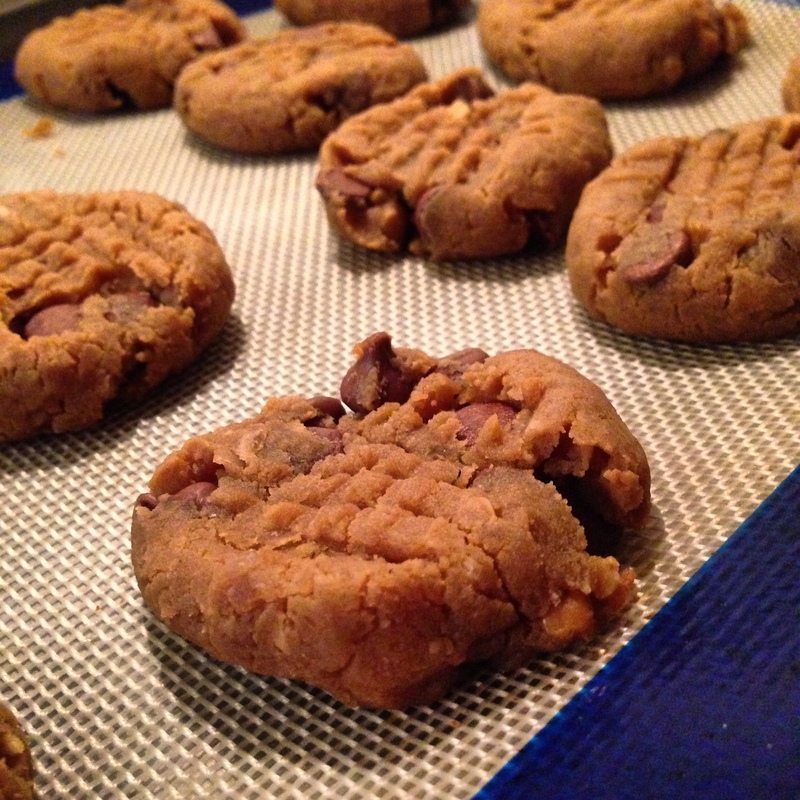 8-12 minutes later – you have Flourless Chickpea Peanut Butter Chocolate Chip Cookies! 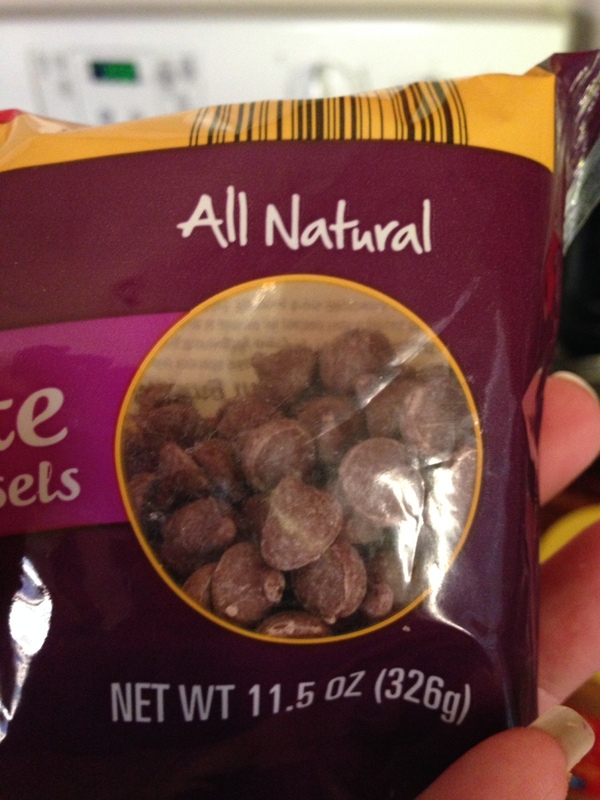 And, like Nancy admits in her post – these aren’t Tollhouse, but they are really good! I’ll be making them again. As soon as I’ve opened my food processor! P.S. I should probably also point out that because I was sharing with Mr. T,I did use vanilla instead of rum. P.P.P.S. I love that the three of us have all made the same recipe, and we all made it a bit different – that to me is what our trip around the sun is all about!! Other Alternate Title: How I’m filling my time now that my son is really growing up and developing a life of his own and I’m not use to not being a taxi, I’m not sure what to do with myself and all of this free time I’ve developed and I’m darn sure not trying on-line dating again!! Saturday morning I had finished my coffee and the news was over and I started flipping through the TV channels. 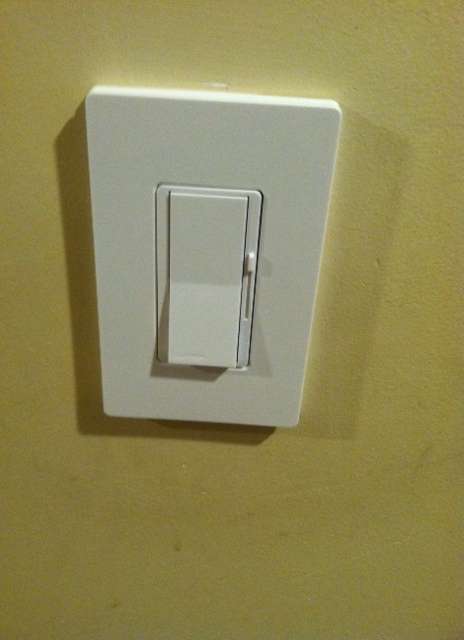 I don’t want to be a “flip through the TV channels because the house is so quite” type of person so I shut off the TV. And sat there for a bit wondering what to do! Then, my computer called me, it lovingly beckoned me, it all but commanded that I open it up… Pinterest was the lure and I was ripe for taking the bait! But, I was smarter than the not-so-inanimate-object also known as my computer! Side note: Not related to the New Year, not a resolution at all, but Mr. T and I are moving towards becoming vegetarian. So far, I’m loving it! But anyone who has tried to go out to eat with me won’t be surprised by this at all! Mr. T was still asleep, having worked late the night before, and lunch was not too many hours away, so I was going to open Pinterest, but NOT get sucked in and actually create something! I create things based on inspiration on Pinterest all of the time! I really do agree, there needs to be a button to check “I did this!” each time we actually try something that we’ve pinned – and if it could applaud me and toss some confetti, well, I’d be fine with that, too! I needed lunch, I wanted a treat, I baked a spaghetti squash the other day that I hadn’t turned into a meal yet and I have discovered that quinoa cooks up like 4x in volume!! Let’s start with lunch. I took shrimp stir-fry inspiration and made a vegetarian option. I buy a lot of veggies, and at any given time will have chopped onion, celery, carrots and bell peppers in baggies in my freezer – so I just pulled out everything that looked good and sauteed it all together in some sesame oil. I had some Thai noodles, and I made a Korean soy sauce topper. It was awesome. I subbed quinoa for the shrimp for protein and I reduced the number of noodles and added in some spaghetti squash. 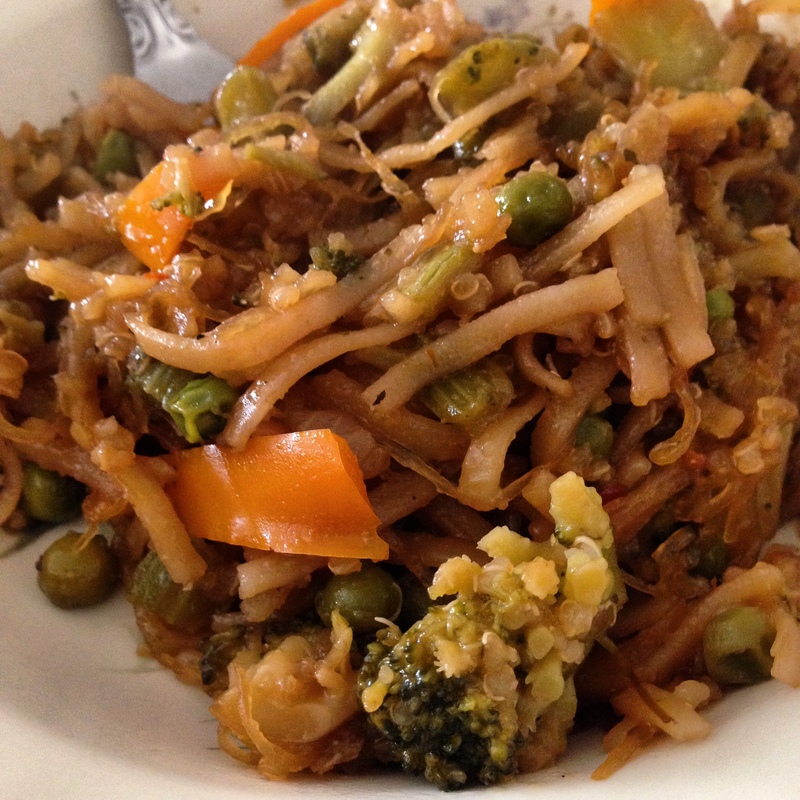 Vegetarian Stir-Fry. 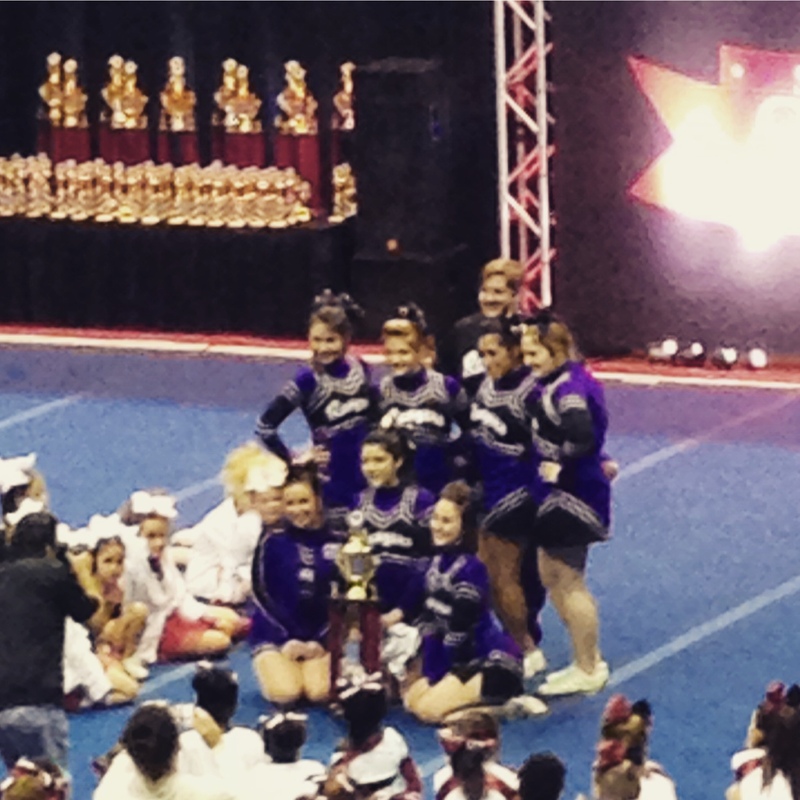 It was Instagram worthy! 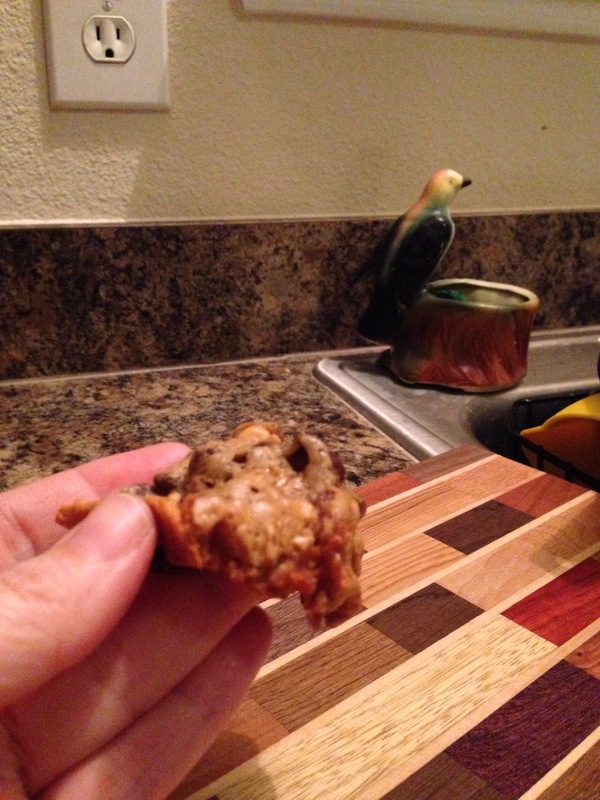 While that was coming together, I found Flourless Peanut Butter Chocolate Chip Mini Blender Muffins. 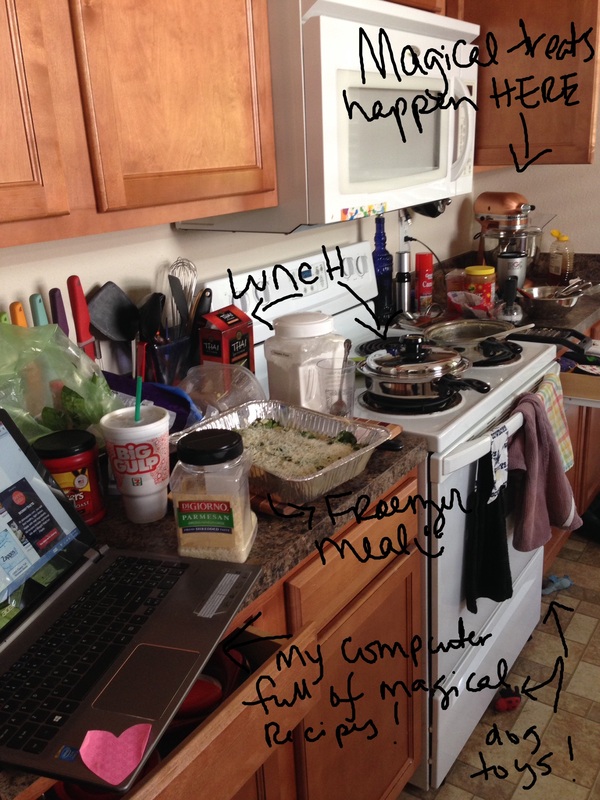 Please click through and visit Averie Cooks, I don’t know her, but she deserves a visit! My friend Erica had mentioned some cookies she made the other day that were flourless, so this recipe was calling my name. These muffins really are made in a blender! The recipe says it makes 17 mini muffins, and looking at it in my blender, it sure didn’t look like it would make that many, but it really did! And yes, I know that eventually I’ll need a grown up blender. 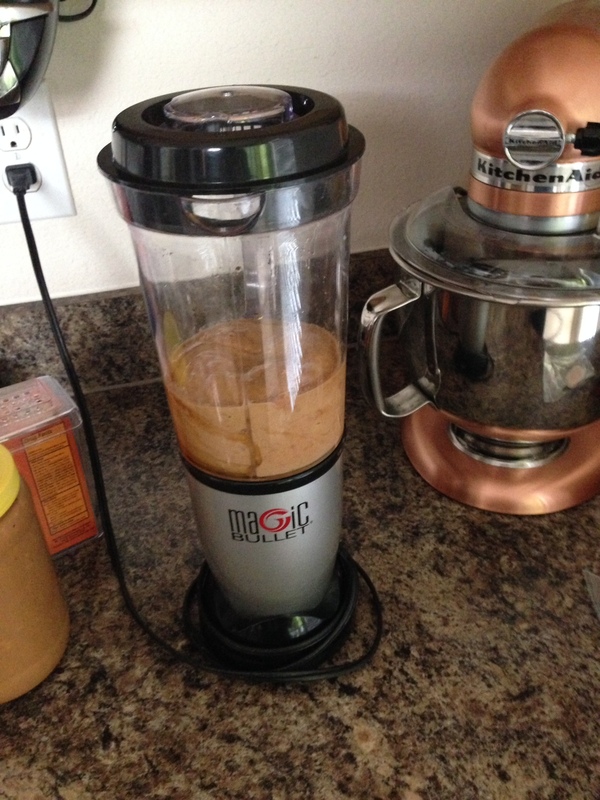 I had one, but someone in my life had a greater need for it, and no joke, the Magic Bullet has worked great so far! While those were baking, I went ahead and put together a spinach and spaghetti squash recipe, I haven’t eaten it yet – it’s in the freezer right now, but it’s a cheese rue with the squash and spinach, and you can’t go wrong with any of those ingredients! Mr. T claims he doesn’t like spaghetti squash, so I think this meal will be the real test! 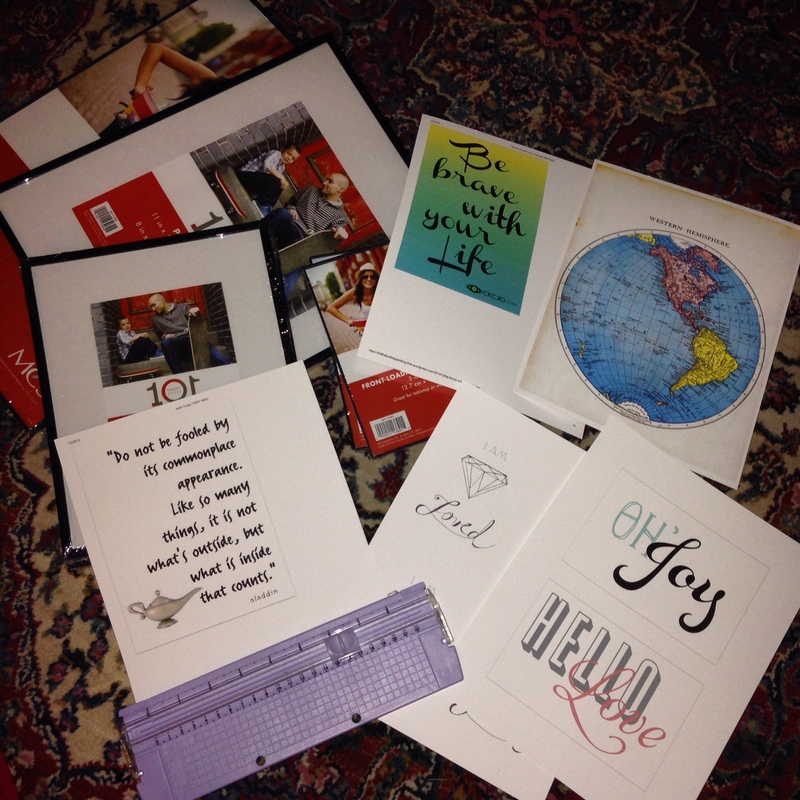 Pinterest had me collecting free printables, and this weekend I finally had several that really spoke to me, plus, I have ordered a piece of art from Crated, created by fellow blogger Life in the Wylde West, and I can’t wait to get that put up, but I didn’t want it looking lonely! Now it’s Sunday night and the Cowboys won!!! Yeah! Go #CowboysNation!!! That’s how you #FinishTheFight!! Sorry, that just kinda came out of nowhere! A quick trip to Target, a stop to visit Mr. T at work and I was back by the start of Downton Abby! I have my pieces printed on matte photo paper, my little trimmer and the frames; I went to work and at the end of the hour, I turned my stack into the start of a collection! 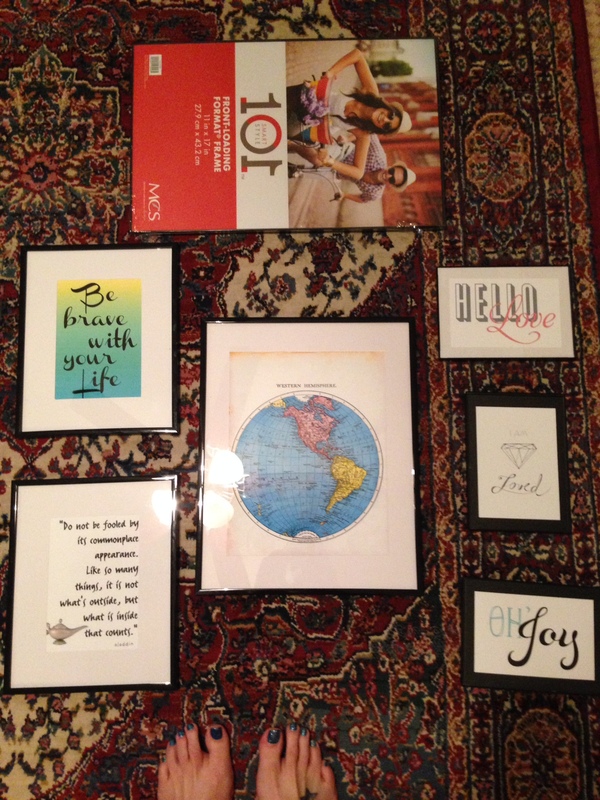 The blank frame at the top is for the art piece I’m waiting on, but everything else got trimmed and framed! Now it’ll take me days and a call to my grandmother to help me arrange them on the wall! But, that’s okay, because Mr. T works again Thursday night, so I’ll have time to spare! 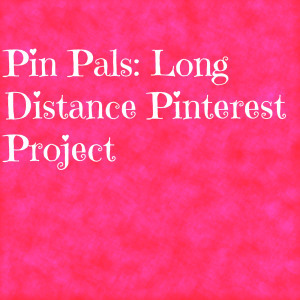 So, I utilized Pinterest to the fullest this weekend, and it really helped me fill up my spare time. I think I can handle Mr. T growing up after all!